Apple store in Central Park a symbol of consumerism. Historian Lawrence B. Glickman identifies the free produce movement of the late 1700s as the beginning of consumer activism in the United States. Like members of the British abolitionist movement, free produce activists were consumers themselves, and under the idea that consumers share in the responsibility for the consequences of their purchases, boycotted goods produced with slave labor in an attempt to end slavery. Other early consumer activism included the creation of consumer cooperatives in Northwestern England in 1844 as a measure against local monopolies and high commodity prices. Activism on the behalf of the consumer began around the 20th Century in the United States, in what scholars Tim Lang and Yiannis Gabriel term the "value-for-consumer" wave, and which sociologist Hayagreeva Rao calls the antiadulteration movement. It was during this time that consumer organizations began to emerge in the United States, starting with a Consumers League in New York in 1891 which merged with other regional branches to form the National Consumers League in 1898. One of the first consumer protection laws in the United States and worldwide, the Pure Food and Drug Act, was passed in 1906. More legislation around the world followed. During this time consumer-led activism like boycotts continued, largely in response to domestic and international socio-political concerns. The publication of Unsafe at Any Speed by Ralph Nader in 1965 gave rise to a new type of legal-focused, anti-corporate activism. Whereas past activism had focused on the consequences of consumer actions and the protection of consumers, Lang and Gabriel argue the activism inspired by Ralph Nader and others is more confrontational toward the market. From the 1990s and into the 21st century, consumer activism has been closely associated with sharp critiques of globalization and the damaging effects of concentrated corporate power. Religious terms, such as David and Goliath, may be used in rhetoric to motivate non-activist consumers to join in the activism. Consumer activism seeks to change some aspect of the way in which goods or services are produced in order to make the production process safer, more ethical, more environmentally friendly, and to make the products themselves safer and of better quality, or more available to consumers. As a result, consumer activism challenges existing corporate practices in order to effect a direct change in production, or attempts to modify some aspect of the behavior of consumers themselves. Scholars Robert V. Kozinets and Jay M. Handelman find that consumer activism needs three factors: "a goal, a self-representation, and an adversary." In this model, the goal is the change consumer activists wish to effect in the way goods or services are produced or in the way consumers themselves approach consumption. Consumer activists may frame the purchase of a good or service as a moral choice, with the consumer partly responsible for aspects of the production. In this way, consumer activists attempt to influence the behavior of consumers by getting them to consider their consumption choices in an ethical light, and portray consumer activism as a movement among consumers, themselves included, for a common good. Consumer activists may also be part of various consumer organizations or portray themselves as members of a larger consumer movement. The targets of consumer activism are often corporations that support causes or practices consumer activists find unethical. Corporations are made the recipients of consumer activism based on an aspect of the way in which they do business or because of organizations they choose to support, financially or otherwise. 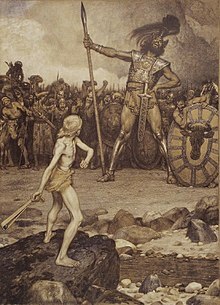 Religious terms, such as David and Goliath, may be used in rhetoric to motivate non-activist consumers to join in the activism. Activists may target multiple corporations and describe them as their rival. Consumer activism may also target the state in order to implement some form of regulation for consumer protection. Consumer activist tactics can include boycotts, petitioning the government, media activism, and organizing interest groups. Boycotts are especially prevalent among consumer activists within environmental and animal rights activist groups. According to research from Eastern Michigan University, boycotts that are media-orientated rather than marketplace-orientated are preferred. This means the nature of the boycott did not target actual consumption, by demonstrating in front of a storefront for example, but instead demonstrations are orientated to getting media attention by demonstrating in front of the rival headquarters. Consumer boycotts are effective at damaging a brand's reputation, however, and can result in short term dips in a company's stock prices. While these dips may be forgettable in terms of the company's overall revenue, especially when the company may be among the top global brands, these boycotts can quickly gain attention and cause fast mobilization due to the rapid pace of information spreading across the internet and even be successful in seeing through policy change or restructure in leadership if the boycott represents a major societal issue or movement instead of an isolated, independent effort. They are known to be successful when the issue the boycott is targeting is simple and easy to understand, with low cost of mobilization and many alternatives for consumers to turn toward. Boycotts are occasionally criticized for being ineffective but the media appeal and a few big successes from groups like PETA have sustained their popularity. The Internet plays a major role in modern consumer activism, allowing widespread consumer interest groups to support each other in their efforts to resist globalized consumption patterns. This is especially true as anti-brand and anti-corporation groups seek to create a coordinated opposition as multinational and interregional as the opposed business. Often these communities provide a crucial central place to accumulate and share resources and information In these and other strategies, consumer activists seek to increase the exposure of their cause and to gain political support. The speed, convenience, and propensity for coalition building make the internet an ideal place for consumers to run their activism. Overall, the Internet allows for more mobilization by supporters, both inside and outside the group, to protest and get their message heard. Activist boycotts function under the model that a consumer's money serves as a vote of support for the business from which they bought something, a model which adds a higher degree of social responsibility for the consumer as they must be knowledgeable in a company and it's competition's policies and stances in order to make the most informed decisions each time they make a purchase. It may be noted that this boycott tactic is not more commonly utilized by or slanted toward any specific political party in the United States as there are many boycott efforts that champion both conservative and liberal stances. Described as the "granddaddy of all activist campaigns" Nike came under fire for utilizing subcontracted international factories to produce their products. Nike sweatshops became notorious for subpar working conditions and substandard pay. The reaction to this news resulted in an onslaught of activism that laid the foundation for modern consumer activism. In 2001 and in 2002 various movements arose where consumers protested against Starbucks. Their demands were that Starbucks stop using GMOs and start making their coffee from fair trade certified beans. As a result, Starbucks started using Fair Trade coffee in over 2,300 outlets. Greenpeace found that palm oil production used in Kit Kats was destroying the rainforests and habitats of orangutans. Through massive social media activity, Greenpeace forced Kit Kat to cut all ties with Sinar Mas Group, the company that was providing the palm oil. Kit Kat later pledged to use only rainforest-sustainable palm oil by 2015. This movement is hailed as a notable success in consumer activism. After Donald Trump's Executive Order 13769 banned immigration from seven predominantly Muslim countries to the United States in January 2017, protests arose in many airports of the country. At John F. Kennedy International Airport, Uber was criticized for not canceling its service and allegedly using the event to profit during a Taxi Workers Alliance protest. This led to a twitter campaign of #deleteuber where over 200,000 users deleted the app. CEO of Uber Travis Kalanick vacated his position as advisor in the economic advisory council of President Trump due to criticism over Trump and the travel ban. After releasing their new winter-themed set of Christmas cups in 2015, Donald Trump declared a suggestion to boycott Starbucks Coffee. Trump hinted at the fact that the Starbucks cup no longer resembled the Christmas season with typical Christmas characters like Christmas trees, gifts, santa, etc., and this is what he may be referencing during the boycott. Trump was an influence in this movement as a presidential candidate in 2015, and in this same speech he hinted that Starbucks was removing the Christmas out of the Christmas-holiday season. Starbucks has been the target of major backlash from conservatives Trump supporters in 2017 as Starbucks CEO Howard Schultz spoke out in favor of employing refugees at various locations of the coffee shop chain after Trump proposed a travel ban targeted towards stopping Muslim Middle Eastern refugees from entering the United States. The anti-Trump boycott was created by Susan Coulter in October 2016 in attempts to protest against Donald Trump. The movement includes boycotting all stores and companies that cary Trump affiliated items, such as Ivanka Trump's shoe line. The boycott didn't only include clothing stores, but also included TV shows, such as The New Celebrity Apprentice, which was formerly hosted by Donald Trump. Donald Trump: Donald Trump played a large role in promoting various consumer boycotts and consumer activist situations, such as with the Starbucks Boycott, where Trump suggested a boycott due to the Christmas cup controversy, as well as calling for a boycott of the NFL due to kneeling protests of police brutality against people of color during the national anthem in 2017. Lena Dunham: After Uber removed price surges following a taxi hour of solidarity for the immigration ban at the JFK airport, there was almost instantly a backlash from thousands of Uber users to delete the app, and Dunham engaged in the boycott by sending out a tweet indicating that she had deleted the app. Kelly Ellis: Software engineer Kelly Ellis proposed a boycott of Twitter over a controversial suspension of actress Rose McGowan's Twitter account. The boycott included the hashtag "#WomenBoycottTwitter." Rose McGowan's account was suspended after Tweeting about an accused sexual harasser within the Hollywood celebrity community, and breaking Twitter rules over posting personal information. George Takei: After the 2017 boycotts of Uber, Takei made a Tweet on Twitter addressing the events and including the hashtag "#DeleteUber" at the end of his Tweet. Jesse Williams: After the 2017 boycott of Uber at John F. Kennedy International Airport, actor Jesse Williams took to Twitter sharing a screenshot of himself deleting the Uber app and including the hashtag "#DeleteUber" in his Tweet. Some activists perceive the consumer public as unthinking, ignorant, and routine in their thoughts of consumption[who?]. Activist accounts describe these people as unreflective and unwilling to "consider" their habits and lifestyles. They may be believed to not insert moral or social ideas into their consumption. Other perceptions of customers are also expressed by activists, including the idea that consumers are submissive to corporations. The activists themselves may be described as dominating and oppressive to the consuming public. Opponents of consumer activism often represent business interests. Some businesses have brought lawsuits against consumer groups for making negative comments about their products or services. Many of the suits have been successfully defended as exercises in free speech. Some cases against consumer activists have been dismissed under anti-SLAPP laws. Notable consumer activists include Carol Foreman, Marc Kasky, Richard Kessel, Virginia H. Knauer, Eileen Hoats, Ralph Nader, Frances Perkins, Michael Pertschuk, and Peter A. Peyser. Notable consumer organizations include Grahak Shakti (India), Public Citizen, Consumers Union, and Consumer Federation of America. These organizations protect consumer rights by testing products and helping consumers make informed choices. The Consumers Union participates in consumer activism with hundreds of thousands of "e-advocates" who write letters to policy makers. Early versions of consumer organizations were similar to trade unions in how they would boycott to try to improve the marketplace for the consumer. The CEO of Basecamp, a Chicago-based tech company, chose to boycott Uber in 2017 by no longer reimbursing company and employee Uber rides, giving incentive to use other transportation network companies. Jason Fried, the company’s CEO, stated that making the decision to boycott Uber was easy, especially after the Susan J. Fowler controversy in early 2017, and for Fried, it was a matter of morals. Sarkar, Christian and Kotler, Philip (2018). Brand Activism: From Purpose to Action. IDEA BITE PRESS. Friedman M (1995). On Promoting a Sustainable Future Through Consumer Activism. Journal of Social Issues. Chesler MA (1991). Mobilizing consumer activism in health care: The role of self-help groups - Research in Social Movements, Conflicts and Change. Kozinets RV, Handelman JM. Adversaries of Consumption: Consumer Movements, Activism, and Ideology. Journal of Consumer Research Vol. 31 • December 2004. ^ Kozinet, Robert (2004). "Adversaries of Consumption: Consumer Movements, Activism, and Ideology" (PDF). Journal of Consumer Research. 31: 691. doi:10.1086/425104. ^ a b c Glickman, Lawrence B. (2004). "'Buy for the Sake of the Slave': Abolitionism and the Origins of American Consumer Activism". American Quarterly. 56 (4): 905–906. doi:10.1353/aq.2004.0056. ^ Martin, Ann Smart (1993-07-01). "Makers, Buyers, and Users: Consumerism as a Material Culture Framework". Winterthur Portfolio. 28 (2/3): 141–157. doi:10.1086/496612. ISSN 0084-0416. ^ a b c d e f g h i j k l Kozinets, Robert V.; Handelman, Jay M. (2004). "Adversaries of Consumption: Consumer Movements, Activism, and Ideology". Journal of Consumer Research. 31 (3): 691–704. doi:10.1086/425104. ^ Jayasimha, K.R. ; Billore, Aditya (2016). "I complain for your good? Re-examining consumer advocacy". Journal of Strategic Marketing. 24 (5). ^ a b c Glickman, Lawrence B. (2004). "'Buy for the Sake of the Slave': Abolitionism and the Origins of American Consumer Activism". American Quarterly. 56 (4): 889–912. doi:10.1353/aq.2004.0056. ^ a b c d e Lang, Tim; Gabriel, Yiannis. A Brief History of Consumer Activism. pp. 35–45 – via Academia.edu. ^ Kolb, Robert W. (2008-01-01). Encyclopedia of Business Ethics and Society. SAGE. ISBN 9781412916523. ^ a b Swimberghe, Krist; Flurry, Laura A.; Parker, Janna M. (2011). "Consumer Religiosity: Consequences for Consumer Activism in the United States". Journal of Business Ethics. 103 (3): 453–467. doi:10.1007/s10551-011-0873-2. ^ a b "Rethinking Consumer Boycotts". MIT Sloan Management Review. Retrieved 2017-10-13. ^ a b "When Do Consumer Boycotts Work?". Retrieved 2017-10-13. ^ a b "When Do Company Boycotts Work?". Harvard Business Review. Retrieved 2017-10-13. ^ Friedman, Monroe (1995). "On Promoting a Sustainable Future through Consumer Activism". Journal of Social Issues. 51: 197–215. doi:10.1111/j.1540-4560.1995.tb01355.x. ^ R., Hollenbeck, Candice; M., Zinkhan, George (2006-01-01). "Consumer Activism on the Internet: the Role of Anti-Brand Communities". NA - Advances in Consumer Research Volume 33. ^ Hollenbeck, Candice (2006). "Consumer Activism on the Internet: the Role of Anti-Brand Communities". Advances in Consumer Research. 33: 479–485. ^ Jenkins, J. Craig & Wallace, Michael:"The Generalized Action Potential of Protest Movements: The New Class, Social Trends, and Political Exclusion Explanations", p. 188. Sociological Forum. Springer. Vol. 11, No. 2. 1996. ^ "Target still facing backlash from transgender bathroom policy". LifeSiteNews. Retrieved 2017-10-13. ^ Bullert, B.J. (2000). "Progressive Public Relations, Sweatshops and the Net". Political Communications. 17. ^ "Activists Step Up Global Campaign Against Starbucks". www.organicconsumers.org. Retrieved 2017-03-04. ^ Skapinker, Michael (2010-06-01). "Nestlé learns to see the wood for the trees". Financial Times. ISSN 0307-1766. Retrieved 2017-03-04. ^ "Inside the Huge JFK Airport Protest Over Trump's Muslim Ban". Rolling Stone. Retrieved 2017-11-11. ^ "Furious customers are deleting the Uber app after drivers went to JFK airport during a protest and strike". Business Insider. Retrieved 2017-11-11. ^ Isaac, Mike (2017-02-02). "Uber C.E.O. to Leave Trump Advisory Council After Criticism". The New York Times. ISSN 0362-4331. Retrieved 2017-03-04. ^ Isaac, Mike (2017-02-02). "Uber C.E.O. to Leave Trump Advisory Council After Criticism". The New York Times. ISSN 0362-4331. Retrieved 2017-11-11. ^ CNN, Theodore Schleifer,. "Donald Trump: 'Maybe we should boycott Starbucks' - CNNPolitics". CNN. Retrieved 2017-11-04. ^ CNN, Theodore Schleifer,. "Donald Trump: 'Maybe we should boycott Starbucks' - CNNPolitics". CNN. Retrieved 2017-11-11. ^ "Trump Supporters Vow to Boycott Starbucks Over CEO's Plan to Hire Refugees". Fox News. January 31, 2017. ^ "Real-time social media analytics for #deleteuber - Keyhole". keyhole.co. Retrieved 2017-11-27. ^ "The up-to-date list of companies that sell Trump brands". #grabyourwallet. Retrieved 2017-11-27. ^ Davis, Julie Hirschfeld (2017-09-24). "Trump Calls for Boycott if N.F.L. Doesn't Crack Down on Anthem Protests". The New York Times. ISSN 0362-4331. Retrieved 2017-11-04. ^ "Why Are Celebrities Deleting Their Uber Accounts? Everything You Need to Know About the Boycott". PEOPLE.com. 2017-01-30. Retrieved 2017-11-04. ^ a b "Celebrities Boycott Twitter After Rose McGowan's Suspension". Bloomberg.com. 2017-10-13. Retrieved 2017-11-11. ^ Takei, George (2017-01-29). "Lyft donates $1mil to ACLU while Uber doubles down on its support for Trump. #DeleteUber". @GeorgeTakei. Retrieved 2017-11-27. ^ Rao, Hayagreeva (1998-01-01). "Caveat Emptor: The Construction of Nonprofit Consumer Watchdog Organizations". American Journal of Sociology. 103 (4): 912–961. doi:10.1086/231293. ISSN 0002-9602. ^ a b "Uber's Culture Led One Tech Company to Boycott It on Moral Grounds". Bloomberg.com. 2017-06-13. Retrieved 2017-11-27.